Slowly, but surely, the way I consume media is evolving. If you were a kid – like me – in the 70s (and a teenager in the 80s), remember having just a few channels? No DVRs or TiVo, let alone streaming TV. I remember how excited we were when we could tape our favorite shows on VHS. That meant we could watch what we wanted to WHEN we wanted to. Fast forward (get it?). Thanks to streaming media, I don’t have to worry about WHEN anymore. I can choose what I want to watch whenever I want by just logging on using any streaming device like my laptop or tablet. That’s why I’m super excited about Feeln, Hallmark’s digital streaming channel which features Hallmark Hall of Fame movies and other original content. 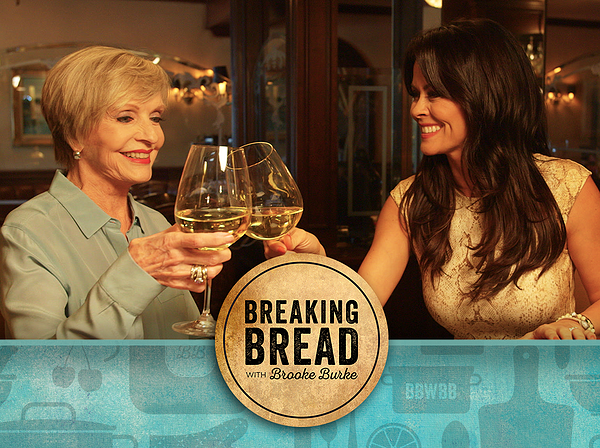 I just got to preview Feeln’s Breaking Bread with Brooke Burke. (Say that five times fast. Seriously. But more about that in a bit.) In season 1, episode 1 she interviews Florence Henderson. Remember, I was a kid in the 70s so I’m ALL about Carol Brady Florence Henderson. The show is all about how we connect with family and friends through food. I’m all about that. Florence shared her journey and favorite recipes that her family has enjoyed at the Italian restaurant they’ve gone to for over 25 years. The food looks amazing – and easy to make too. Be sure to watch the show to see exactly HOW the dishes are made, then pop over to the website to get the recipe for Florence’s Linguini in Red Clam Sauce (which, by the way, I WILL be making). Make a video of you saying Breaking Bread with Brooke Burke FIVE times fast. Submit on Twitter, Instagram, Vimeo or Facebook. Be sure to tag with #BBwBBchallenge @BBBreaksBread. Here’s my video. How do you think I did??? Go for it! And be sure to spread the word!